Thank you eBay. I don't remember how this happened, but in recent months I've been watching out for plastic kits by the firm Scalecraft. 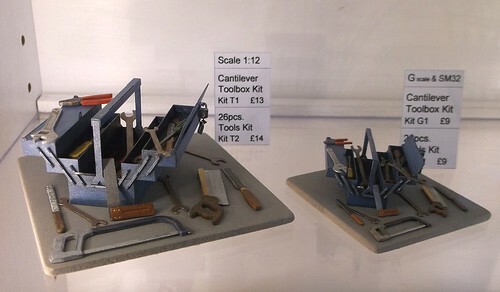 Railway modellers will know them for producing a OO gauge Roadrailer kit sold by Peco back in the 1960s. Not a bad model and still commanding money second hand, no matter how many people rattle on on RMweb about there being a demand for a RTR version. 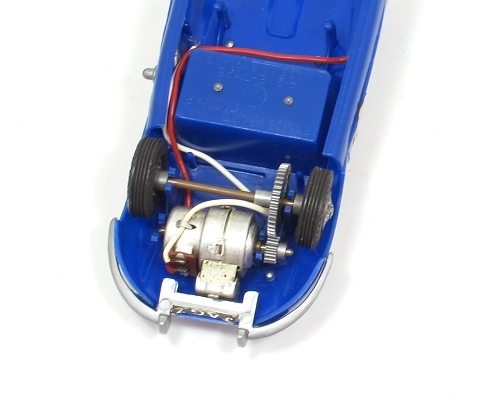 But, they also produced motorised kits which are far more exciting. Looking at these, I realised that I'd owned one as a kid. 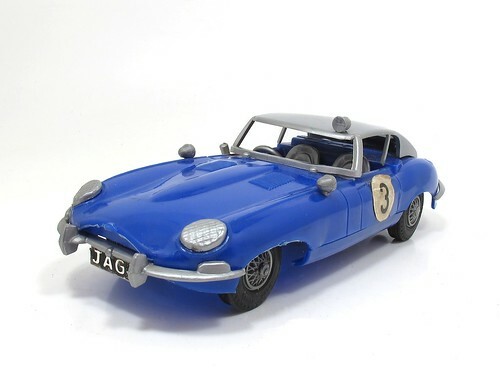 Specifically, I'd owned an E-type Jaguar. Looking at the photos, I remembered the slightly rubbery plastic, and for no real reason, the headlamps. Now, after waiting for something at a price I can justify, I have another. I've always loved the E-type. While the real thing will always be out of my price range, and I know all the horror stories about it's machnicals if I ever do come into money, it's the most beautiful car ever made. Even prettier than a Beetle. The Scalecraft version appears to be a rally car with its numbers and roof-mounted spotlight. Did anyone ever rally these? It would seem to be like attaching a thorougbred horse to a dray. Anyway, like it's prototype, the model is rear wheel drive with a motor that was probably slick but cheap for it's day. I need to fix the door-mounted switch before I give it a run but that looks like a little soldering a bodgery should do it. OK, it's not the best model in the world, but it looks nice on the shelf and means something to me. At least that's my excuse for spending money on toys. For months, I've had some handy sanding sticks knocking around. Each is around 3mm wide and on top and bottom, has some abrasive material. Each packs contains a variety of grades of abrasive. 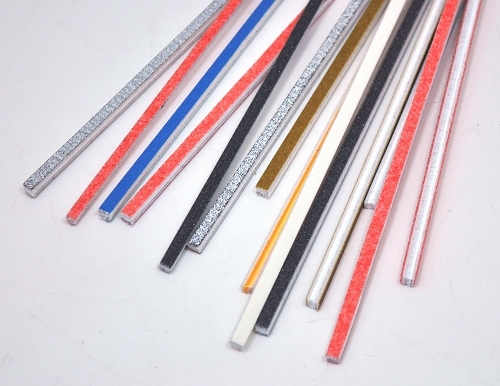 The sticks are a sort of foamboard but plenty stiff enough for the job and very pokable into places other abrasives find hard to reach. Of course, I wanted to blog about them, but couldn't remember where I got them from - not very helpful. Well, at the weekend, I managed to buy another pack - £2 from Ambis Engineering. I can't see them on the website so they might be a show only product. Worth seeking out though. 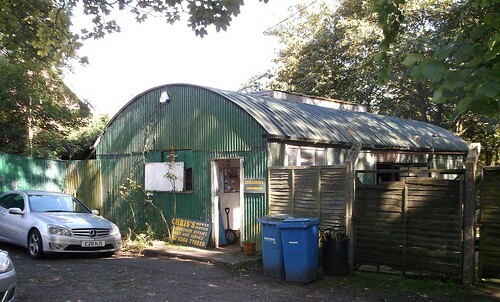 Regular readers will know my enthusiasm for corrugated iron, or wobbly tin, buildings. This beauty is found on the edge of the posh Midlands town of Knowle. Sitting on what must be prime building land 5 minutes walk from the high street and it's excellent artisan bakery, how this slightly shabby structure survives is a mystery, but I'm glad it does. Peeling green (of course) paint doesn't go down well with the residents I'm sure, but it works for me. I'm sure that in a few years time there will be an identikit executive house here with a BMW on the drive, but for the moments we celebrate a building of character..
Have a look on Google Street View. It looked a lot smarter in 2008! 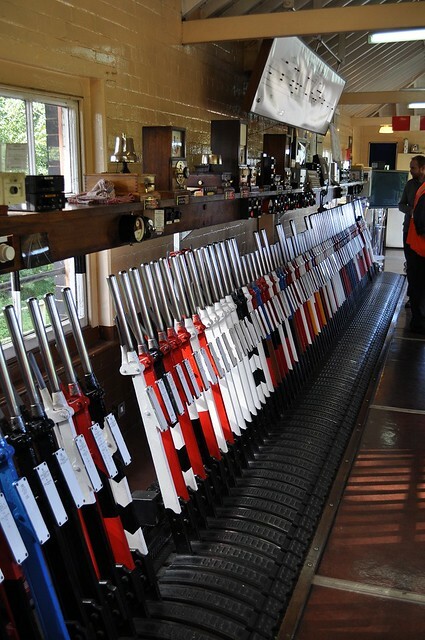 On Sunday I visited Banbury North signal box. Pretty interesting you'd think and you would be right. 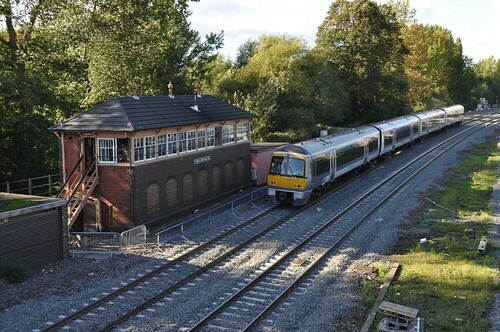 However, the visit was because the box is due to be demolished in a couple of weeks thanks to an upgrade of the line through the station. The semaphore signals have gone and the box will follow. As it was, the good people at Chiltern Railways had arranged to let visitors in. High-vis was issued to those booked on, but as it was we were surrounded by specially placed fences between the end of the platform and the stairs up to the box. Built in 1899, this is a Type 7 box. 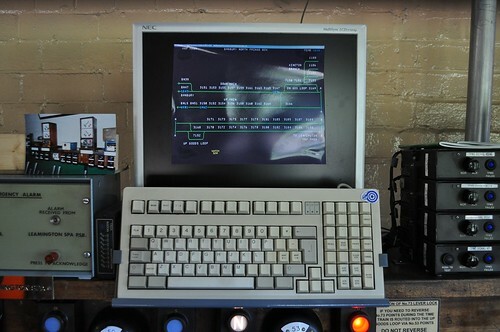 Large, but still operated by a single signaller. 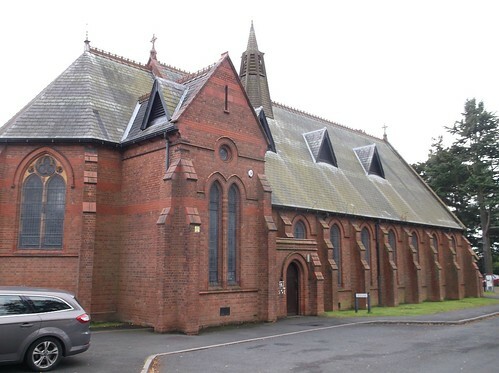 It's stood largely unaltered for all these years, apart from a few modern additions inside to make the operators lives a little more comfortable. That and a fax machine that looks like it dates back to Brunell. Anyway, the reason for this sudden post is that you might just be able to book on a free tour yourself. 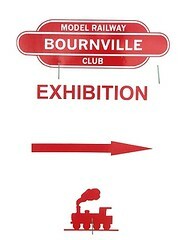 or head to www.facebook.com/groups/banburynorthsignalbox on Facebook to find out more. I've also posted more photos over on Flickr. Do you like making plastic kits? Do you fancy being a world record holder? If so, you need to head to the Shuttleworth Collection who have teamed up with IPMS Brampton Scale Model Club to set a new scale modelling related Official Guinness World Record on Sunday 20th November 2016. They need over 250 people with sticky fingers to make it. Fins out more at the website. I've always wondered what it's like working somewhere like this.All the work is so clean and precise, not like my bodgery at all! When you arrive at your first job, one of the first things that strikes you is that unlike school, everyone appears to get everything right. You don't often get to go an have another go. This sort of model making is a bit like that. They just seem to produce stuff with no fuss or fiddling. Wish I could do that. Way back in the 1970s, TV show Blue Peter had a model railway. Every year they also published an annual and in one of these, John Noakes (I think) showed the reader how to make loads for model railway wagons. The only one I can remember was pipes made from pasta tubes, but there were others. This half-remembered spread was in my mind when I started on my piece on wagon loads for the latest issue of "The Collector", the house magazine of the Hornby Collectors Club. For the first of the two-part series, I'm looking at mining stuff - coal, coke, ore and pit props. 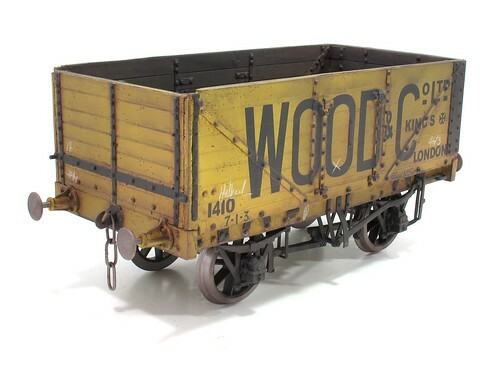 I've tried to show a variety of methods for making each load and also explain niceties such as how much you get in each wagon. When you recieve a refund from HMRC, once you've checked that it IS really your money and they won't want it back, the sensible thing is to go out and buy a new toy train isn't it? In this case, the shops were shut but I'd had something on an eBay watch for a few weeks. Suddenly, I could stop being sensible and buy it. A week later, all the way from Germany, my "Toy Train" 90200 locomotive arrived. I know the good folks at Lehmann Gross Bahn call this a toy train, but I prefer to use the term "Harlequin" in trubute to the multi-coloured cars produced by Volkswagen a few years ago. 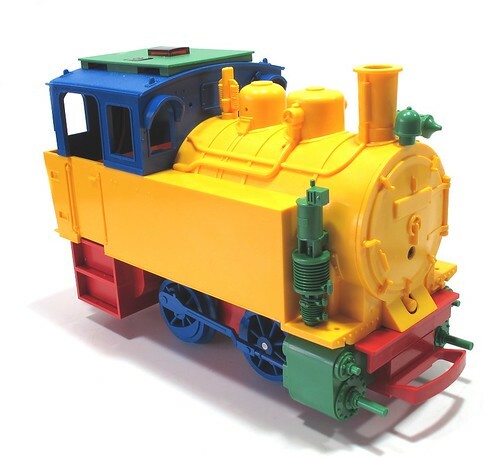 The locomotive is also multi-coloured so I think the name fits. 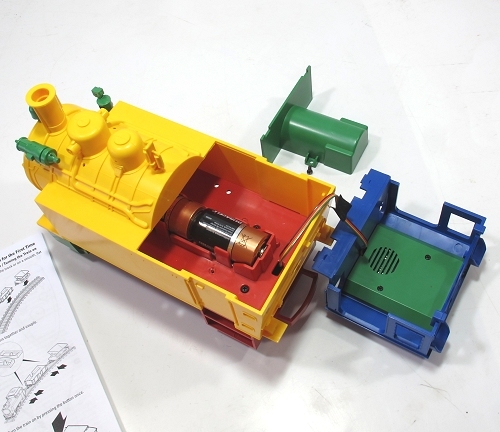 As befits a toy with play value, this is a simple machine. Battery powered (3 C cells in the loco) it's controled by an infra-red remote (2 AAA cells) which provides speed up, slow down, emergency stop, directions, and whicslt, chuff, bell and guards whistle noises. You are probably thinking I'm slightly nuts. That's true, but there is method in my madness. 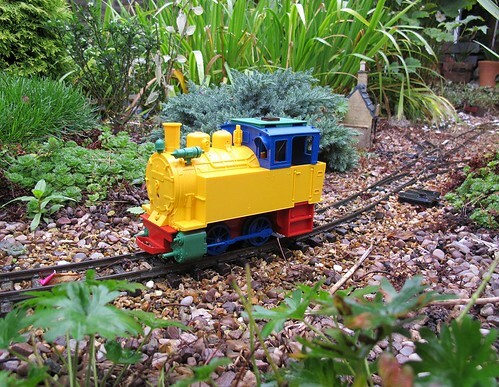 Our garden railway needs serious renovation, it's looking very tatty at the moment. This will have to wait until the spring but we'll need a test loco. What better than one that doesn't even need electricity in the rails? We can ballast and tidy the track and test it on the spot. The model is very light but fairly robust. If it runs over the track then I'm sure a muich heavier standard model will. And on those occasions when a child is brought round and out of the blue there is a demand to run the railway, there is a quick and brighly coloured loco ready for the job. A couple of years ago, while visiting the Sunday bird market in Hong Kong (get me, so cosmopolitan), I picked up a couple of seed scoops. These looked like they had modelling uses and they were cheap and light enough to find space in my luggage. Finally, I actually used one - for directing small amounts of flock powder along the edge of a building whilst avoiding the trackwork right next to it. Trouble is, now I have a useful tool, I'd like to point people in the right direction to buy their own. "Head to the Hong Kong cage bird market" isn't much help and Google isn't any better. 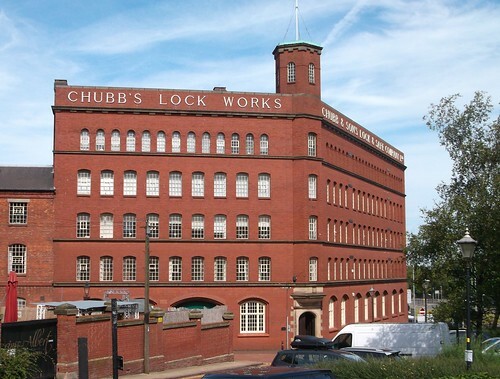 You can't visit Wolverhampton, at least by train, and not be impressed by Chubb's Lock Works. This imposing red brick building stands the other side of the canal from the station and impossible to miss. Chubb's moved in to the Railway Street building in 1899. At the time it housed 350 lock and safe makers. The history of the firm is covered here. I believe the building is now home to a lock making museum, but can't find details on-line. Can anyone help? 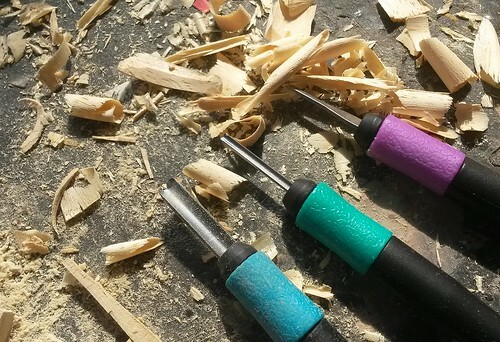 Picked up from Flying Tiger for around 3 quid - a set of small wood carving tools. Quite why someone decided that these were a useful addition to the slightly eclectic stock, I'm not sure. They work reasonably well on obechi however. 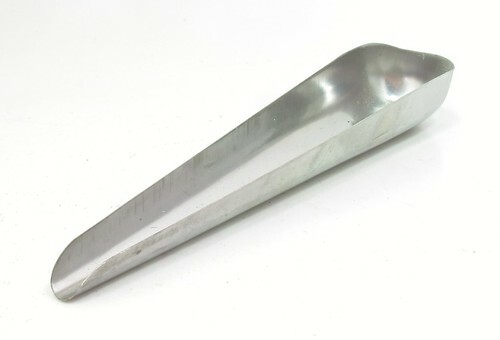 I needed to gouge out some channels for the ramps up to e level crossing and it was easier with the larger half-round tool than anything else to hand. The smaller chisel is probably worth the cost on its own for those who need to clean solder out from joints on kits. 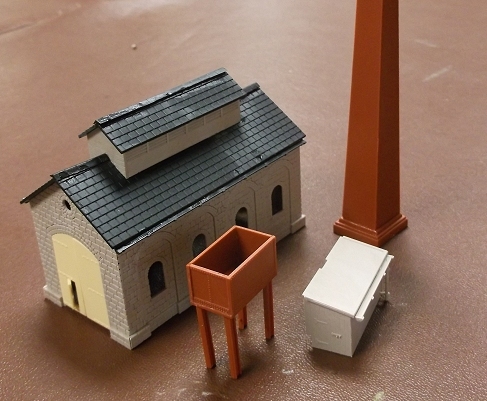 Building the factory for my N gauge layout, I'ver picked the Ratio pum/boiler house kit. Opening the box I realised (yes, I probably should have spotted this earlier) that the building is based on thier engine shed. 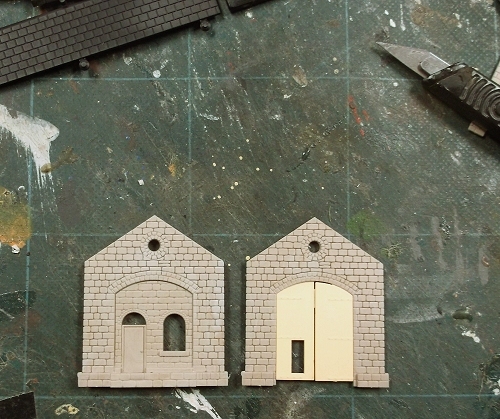 To turn it into a boiler house, you get some extra mouldings to fill in the ends and some side windows. Very clever. 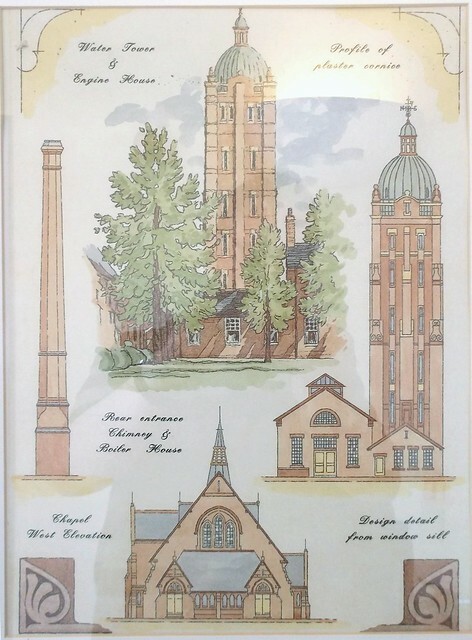 Best of all, some of the extra parts such as the chimney can be sold as kits on thier own. Assembly was quick - all done in about an hour and half sat around the MRC chatting table. There's plenty of scope for kit-bashing too. Adding a door in the side that opens out on to a platform wouldn't be too hard. I quite fancy having a more in depth go at this one day. Something a little oddball today - a book review that is nothing to do with trains or boats. 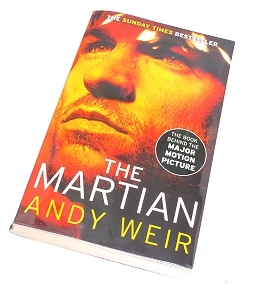 The Martian by Andy Weir tells the story of an astronaugt standed on the red plannet when the rest of his crew have to abandon him during a dust storm. He survives the sortm but has to then find a way to live until he can be rescued in a couple of years time. I saw the film earlier this year and it's very enjoyable. Grown up sci-fi with little in the way of whizzes and bangs. Spotting the book in my local library, I wondered how different it would be. Well, the main changes are that the book has the space to do detail. The main character, Mark Watney, is a botanist and engineer. He has to improvise to survice and while the film has to skip over a lot of this, on the page we get all the details. You can follow progress and understand exactly what is going on, both successes and failures - things do go wrong! It's fascinating and well written, especially for those of us who enjoy bodging away in a workshop. Watney has to do the same on Mars whether that be improvising somewhere to live or re-righting a rover when it tips over. Apparently the science is pretty accurate and many of the ideas are based on real NASA plans for missions. None of them assume you need to grow potatoes nor that you'll use an atomic reactor to heat up the bath water! If you can tear yourself away from the workbench, a recomended read. Most exhibitors turn up at a show with a layout. I arrived at The International N Gauge Show (TINGS) with a pile of materials - and left at the end of two days with a working, if not finished model railway. Building for a crowd was good fun. People certainly seemed to enjoy polystyrene cutting and static grass puffing. Every so often I'd become engrossed in a job, look up, and there would be a big crowd watching me. All I needed to do was keep talking, not something I have a problem with! An hour before the show closed, we had a train running around the circuit and looking pretty good. Work had to stop at this point, partly because I needed to tidy up a bit but mostly because I'd run out of hair spray for scenic work! Working on an N gauge project, I couldn't resit some road vehicles from a second hand stall at the weekend to populate the car park. £4 for two and they are really lovely. 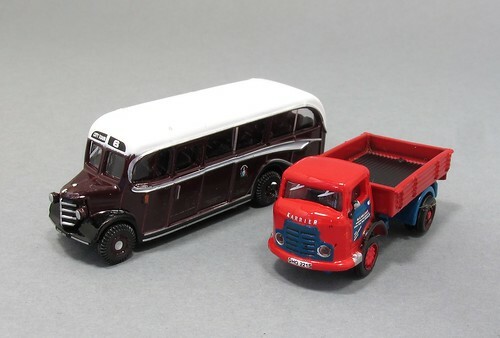 The bus is 5cm long and yet has just as much detail as the O gauge(ish) Corgi versions of years ago. Even subject to cruel close-ups like this, they don't look too shabby. Of course there will be some matt varnishing to do, and a little dirt wouldn't go amiss either, but they look pretty good out of the box. This is the biggest model railway wagon I have ever built. 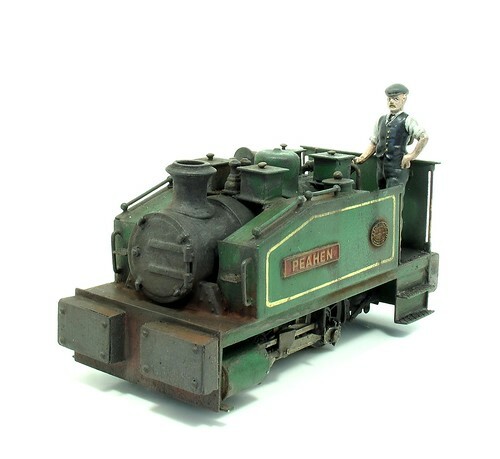 A Gauge 3 resin and steel kit from Williams Models. 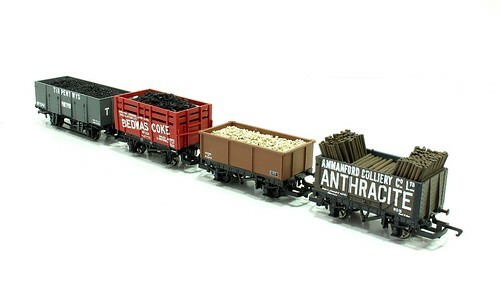 Great fun to do, although there's quite a lot of actual modelling since the interior has to be added as the manufacturer intends a coal load to cover everything. Result, a great big, chunky model. I love it. 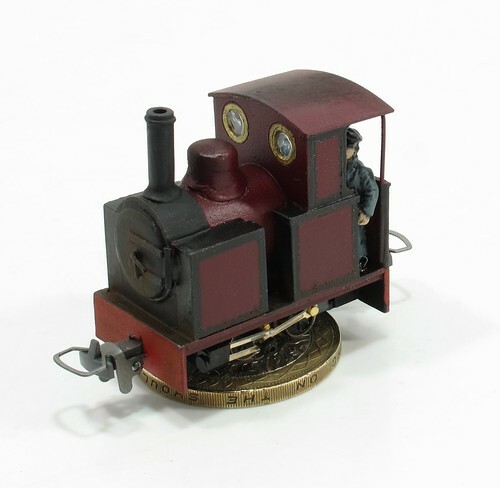 Somewhat smaller is this freelance 009 locomotive scratchbuilt around a TU-KOPPEL RTR chassis. Bit of a challenge this as I had to find a prototype for the tiny wheels. I've mentioned this on the blog before and to be honest it's been a real struggle. The best choice would have been one of the Groudle Glen locos but they wouldn't look right circling Owen's Bridge. Finally we have working moles. Yes, real 4mm scale (actually 3.5mm) moles that pop up out of their holes. Sticking with the wildlife theme, there is a set of swans swimming around a pond. 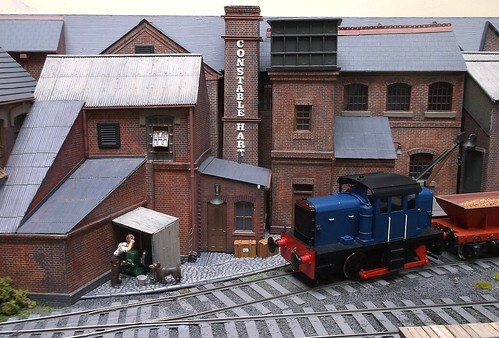 Both are built from kits and would add a bit of entertainment to any layout. You can see the mole diorama in operation in the extra section of the DVD. More over on RMweb about this issue. 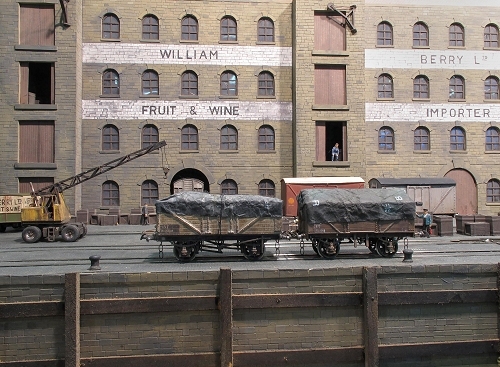 It's not just railway modellers who find large, reasonably anonymous industrial building useful as a backdrop, so does the movie industry. Model railway enthusiast Steven Spielberg has been filming "Ready Player One" in Birmingham and I went along for a look last week. Sadly, he'd moved on to spaghetti junction but there was still evidence of Hollywood action, and I don't mean the one just outside Brum. 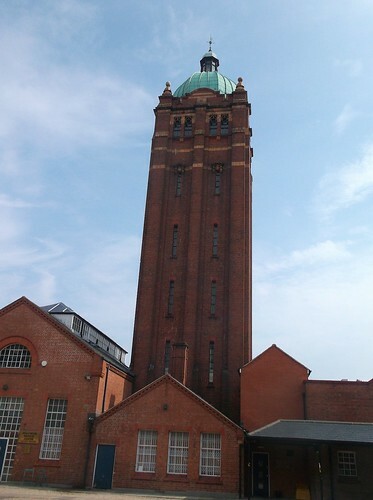 A couple of minutes walk from Snow Hill Station, there is much of the second city's industrial heritage on display. 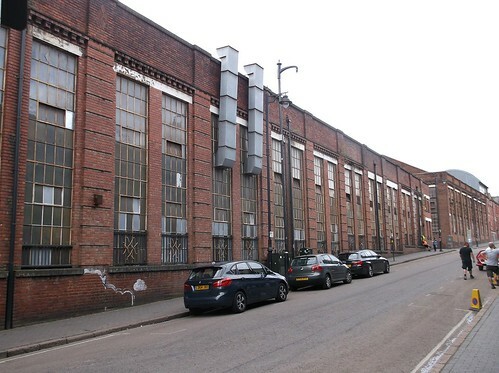 This huge factory in Livery street, alongside the railway line (the wall you see being cleaned of fake graffiti below) is a good example. It's a huge brick structure with limited embellishment and from a modelling point of view, lovely easy to make steel framed windows. I even like the hideous metal vents. I've a fair bit of airbrushing kit in for review at the moment so needed a project or two to test it on. 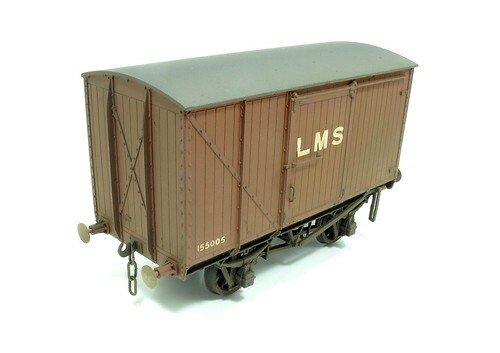 From the maturing cupboard, I found a nearly completed Parkside LMS van which seemed like a good candidate. First up, a spray with Railmatch LMS bauxite. This is noticeably less red than the red oxide printer I usually employ and like all their paints dries to a transfer-friendly semi-matt finish.To be honest, with Press-fix lettering this isn't required, but waterslide is a different matter. Anyway, weathering started with dry-brush of dark grey (Humbrol 67) then a wash of Lifecolor dark brown acrylic. This blobbed on the surface rather horribly, repulsed by the smooth paint. A quick spray of Testors Dullcote sorted that and with a microscopically rough finish, the paint flowed well into the nooks and crannies. After drying, the effect was pretty good. Many people would have stopped there. I couldn't of course so once the acrylic was dry, there was much spraying with enamels - pale brown lower down, black up top and track colour everywhere. These came out a bit subtle so I may wish to revisit the model again one day. As it is, the browns are pale enough that this is probably a wagon running in the summer when the rain doesn't turn dirt to sludge. There has been some trackwork taking place around Leamington recently. 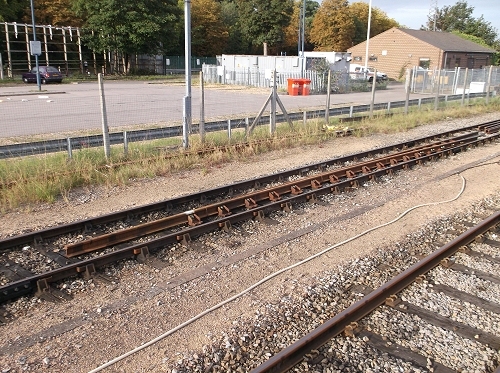 I'm not sure where, but the soon to be installed rails litter the sidings around the station. 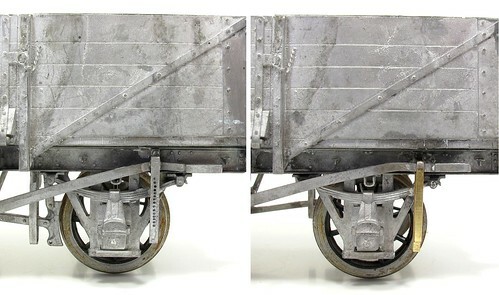 The photo shows a stock/switch rail set. Further along there is another set and most of the parts to build a turnout. 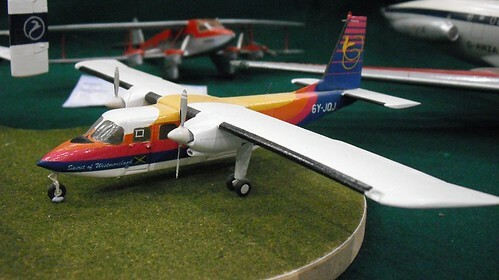 I'm not sure I've seen modelled before - or maybe I have but not realised it. Will look harder in future. 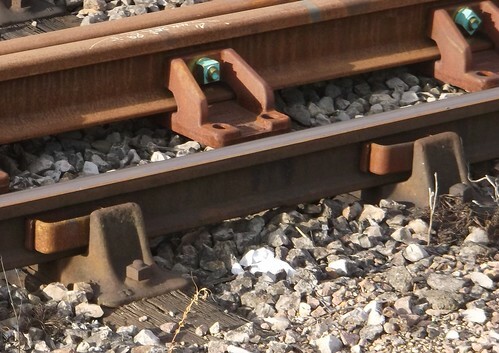 While looking at the track, I also noticed the rails were being retained by U-shaped metal "keys". Are these new? Doubtless some permanent way enthusiast will be able to tell me more. What an excellent idea. Appearing on the catwalks in Paris soon, a range of clothes featuring photos of things I've built! The walk from Telford station to the exhibition centre was wet. Once inside thought I spent pretty much the entire time chatting to people. The plan had been to snap any new releases for MREmag (You can see them here) and buy a few bits'n'bobs including some I'd been meaning to order for some time. 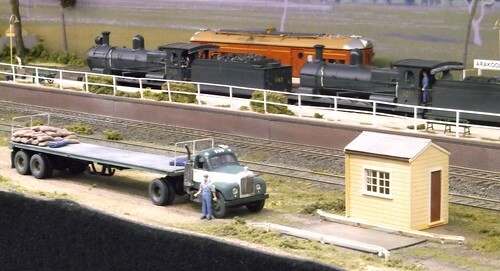 Just inside the door was the star of the show - genuine Australian O gauge. Arakoola is a fictional New South Wales country town of the 1950 to 1960 steam/diesel period. Simply running a Garratt ought to be enough for me, but I was much more interested in the diesels that look an awful lot like some I'd seen during my trip to Aus a couple of years ago. This wasn't the only offshore model either. 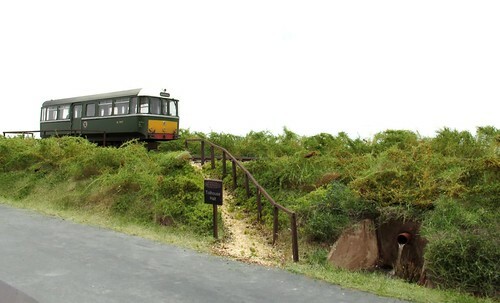 Belgian tram enthusiasts will have enjoyed Tussen Klie en Leuzze. While the prototype might not be familiar, the modelling was top notch. With limited time available, Harbury beer festival was calling for the early evening and I still had to catch a train back home, I'd planned to eat on the way back from the show. However, mid-afternoon I needed sustenance (breakfast was a long while ago) and spotted cake on once of the catering vans. 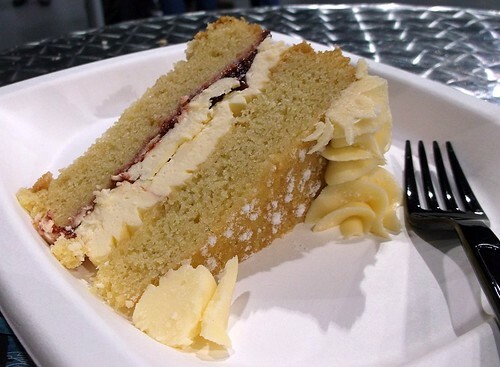 A slice and bottle of cranberry juice were a reasonable (for an event) 4 quid and very nice too. After this it was back to chatting and shopping. For some, it will be exciting news that Eileen's Emprorium can supply even finer piercing saw blades than they could a few months ago. £2 for 12 seemed pretty good too. They also sold me some 2mm scale brick Plasticard, in fact I didn't managed to buy anything O gauge at all! Guildex was a great opportunity to catch up with a lot of friends and chat to a few new ones. Well worth the trip. Were money no object, I could have come away with a much fuller rucksack too! This weekend is all about N gauge. 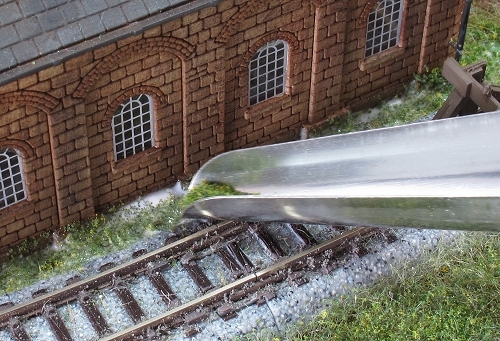 I'm going to be appearing on the BRM stand at The International N Gauge Show (TINGS). The plan is that I'm going to build a very simple layout over the two days. You can read more about this on the RMweb thread. This should be interesting, and has already required more than 2 days worth of planning! More detail on the TINGS website. I'm always saying that good modellers don't get everything right first time, but they can cope when things aren't perfect and need a little rectification. This is a good example. 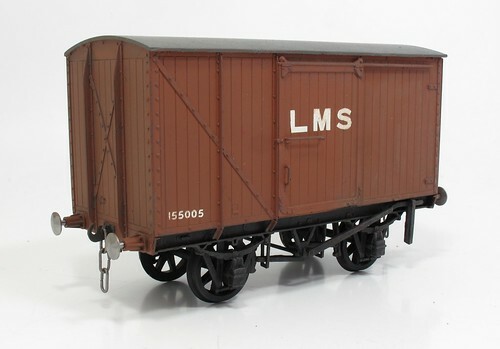 I was working on a whitemetal wagon kit that had lain part-built for years in a cupboard. As I fit the brake gear, I find that a lever guide is missing. Disaster. The manufacturer has long since ceased trading too. Not to worry. A bit of scrap etch and a few minutes with some pliers and I've bent up a suitable replacement. It's missing the holes for the pin because I was in a hurry and didn't drill them, but otherwise it looks OK. When the model is sat on a layout, I bet no-one notices. As I mentioned on Saturday, I spent a day in an asylum! 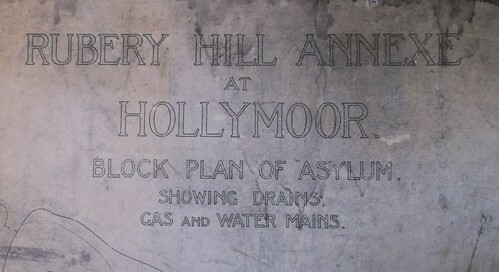 OK, it's the remains of an asylum, but ever since I was researching Hellingly, I have been interested in the subject. Given the chance to poke around, I couldn't resist. The main feature left standing is the water tower,(stationary) engine shed building and workshops. 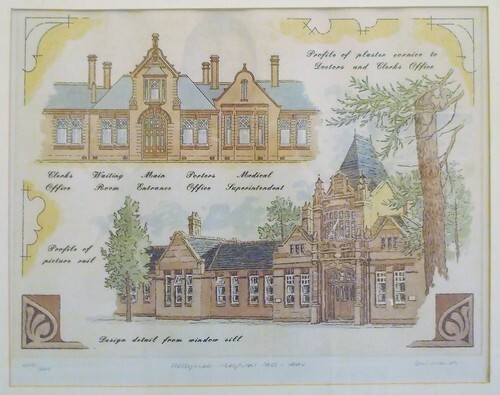 There are also the old Doctors and clerks offices, which is where the model railway show was held. On the walls of these there were paintings and a map providing more information about the site. The chapel is interesting too as it has a striped roof - a tile effect also seen on the Bachmann Pendon range Snell's Hall. I wondered how accurate this was, but looking at this roof - pretty good. I'm not going to provide a history of the site, because I can't do better than this one. There are a few more photos I took on Flickr though. Last year I bought a little turntable for displaying models. Until now it's sat in the box, but I thought I'd give the Barclay a quick spin on it and see how the result looked. Interesting. I did take several angles, but the editing program decided it didn't like the formats (it has off days) so you get one angle pretty much straight from the camera. Let's start the week with a finished project. The Barclay has been heavily weathered and is now ready for service - or at least standing in the display cabinet until I work out what to do with it. Most of the muck is earth/track colour/black Humbrol enamels sprayed over the model and then cleaned away with cotton buds and kitchen roll. Finishing touches from weathering powders, mainly rust around the front end. It's certainly a funny looking locomotive, but then that's why the kit appealed to me when I bought it. I can imagine the real thing (it's sort of freelance but stick with me) wuffeling around a grotty industrial site nosing its way between down-at-heal buildings covered in a layer of soot. Until preservation, it will never pull any coaches and even that might be a dream as lorries take over the day-to-day work leaving the railway with less to do. Daily steamings become twice a week and then once in a blue moon. With a bit of luck the driver greases up the motion as he sticks his faithful steed away in the back of a shed for what might be the last time, hoping that the bean counters forget she is there so they can't send for the scrap man. 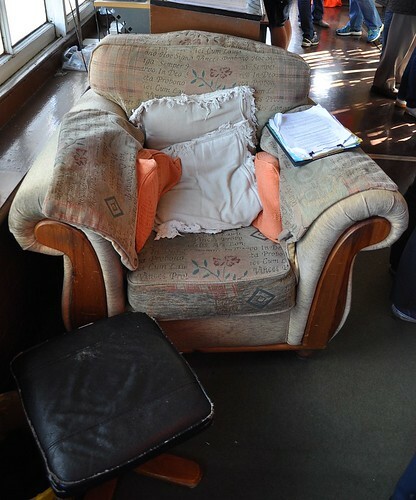 One of the regular comments we receive about Melbridge Dock is that people like the way everything is weathered and fits in with everything else. 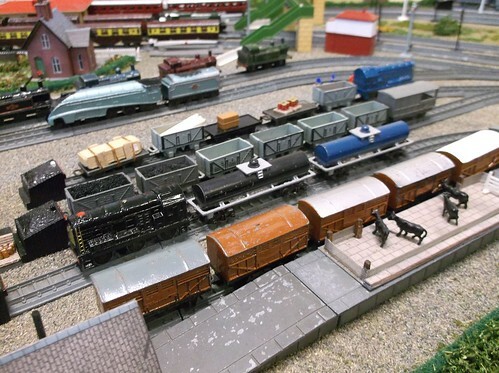 While the layout might not be the greatest model in the world, no single part stands out as either really good or really bad, and that's what gives the best overall effect. I'm inclined to suggest this is the same for all the best layouts. 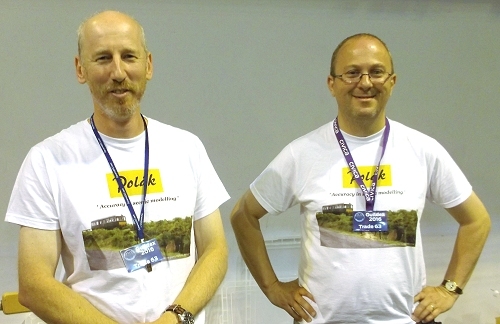 Yes, there will be brilliant modelling but the key is all the modelling will be brilliant. The modeller has developed and standard and stuck to it. If they don't then the model won't (IMHO) look as good because the good/bad bits will stand out and catch the eye. Which makes me wonder about modern RTR models. While the keyboard warriors howl for ever greater detail, you wonder if the layouts the models run on are to the same standard. If they are then there are some seriously impressive models out there. I suspect not though. Most stock will run past crudely assembled card kit buildings through faded flock-covered hills along track ballasted with rocks. On one hand this is fine - it's their model after all - but as the demand is for perfection, are the "builders" realising this? In turn does this drive the "I can't build stuff good enough myself so I'll just buy everything" mentality? 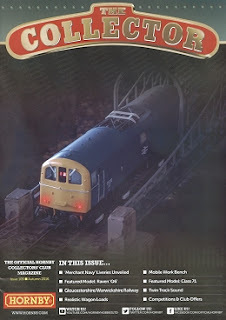 Was the "golden age" of models sometime in the 1990s before RTR quality soared to levels that most of us can't hope to match? Last time I visited Bournville show was in 1997. I know this because my driving licence still carries the souvenir 3 points I acquired for the back half of my camper van going through a red traffic light. Since then, I've preferred to stay away. Last weekend though I decided that as I knew one of the layouts (Broom) and could get there by public transport, I'd have another go. A train ride to Birmingham was followed by an interesting trip on a bus until the entry sign hoved into view. I'd like to say that anyone who upon climbing the stairs of a double deker bus doesn't look to sit in the front seats is weird. The show is held in an old asylum, but I'll talk about this on Wednesday. Suffice to say, this made the trip worthwhile on its own. If you've ever been to a show held in a school, you'll be familiar with the set-up. Small layouts in different rooms, plus others strung down a corridor. Not perfect but it works. Maybe the rooms could have done with a little more ventilation on such a hot day, but there's not much the organisers could do about that! As a small layout fan, the lack of massive tail-chasers doesn't bother me in the slightest. My favourite was actually 3 layouts - Reely Grate, The Muckworks and Primrose Hill. 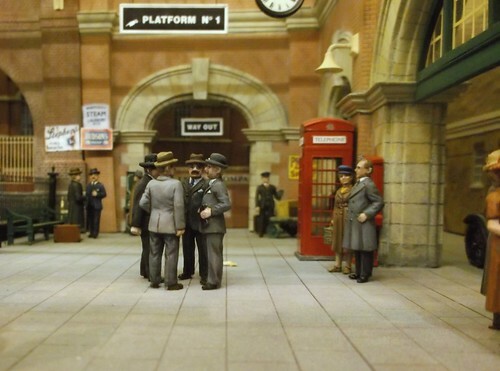 Each a minimum space O gauge scene connected to the next via a short fiddle yard. Loads of detail, typically industrial higgledy piggledy buildings, it all looked great fun. OK, operation was limited but I'd have enjoyed building it. Broom struggled a bit as the owner had picked up the wrong stock box, the contents having the wrong couplings for the locos. Next door was a nice modern image layout with a night time theme. Despite the open front, the lights and top cover made it look like night time, even though you could easily see everything. In the corridor, there was something I haven't seen for years - a"rabbit warren" layout. Half a dozen identical 009 locos appearing and disappearing through tunnel mouths in a mountain. Great fun to watch even if totally unrealistic. My final favourite was non-operational, a Lone Star diecast display. The range of models on show was far greater than I knew existed. Talking to the owner, the full history shows dozens of variations on each model. Trade was what you'd expect for a local show. I came away with some electrical bits, laser cut wooden bridge kit and an American locomotive. I was very tempted by Severn Models etched toolboxes too. Finally, cake. Superb. Loads of choice, home made and very cheap. My only complaint was the the gooey chocolate I chose didn't come with a fork for eating, fortunately I carry a spork for such crises!